A U.S. Air Force MQ-1B Predator unmanned aerial vehicle returned from a mission to an air base in the Persian Gulf region on Jan. 7, 2016. Earlier this year, a man ran into a Paris police station wearing a suicide belt, clutching a meat cleaver, and yelling “God is great” is Arabic. It was Jan. 7, at 11:30 in the morning — the first anniversary of the Charlie Hebdo attacks, down to the minute — and President Francois Hollande was speaking at a memorial ceremony nearby. The attacker was immediately shot dead. Bomb technicians later determined that the explosives attached to his belt were fake, but a paper proclaiming the man’s allegiance to ISIS was found in his pocket. “Who are these people, ruining all of our lives?” said a Parisian woman to a news reporter later that day. It was — and is — a legitimate question. For a decade, the American oracle for such security questions was Michael Hayden, the former director of the CIA and NSA. In a new memoir, and recent New York Times op-ed, he lays out a vigorous defense of his tenure, focusing on drone warfare. “To Keep America Safe,” the headline implores, we must embrace this secret program. But this over-promise can only under-deliver; the threat to the West has moved past one so easily solved by drones. Hayden emphases deliberative leadership and precise weapons, quickly glossing over the specific intelligence upon which drone operations are based. And for good reason — it is all classified. Hayden’s op-ed and new book both had to be approved by the CIA’s Publication Review Board, so he is unable to provide any details that we can compare to Wikileaks or documents published by the Intercept. So Hayden’s insists we take his word for it. “The data was near encyclopedic,” he writes. But in researching a book about the search for the bomb-makers of Iraq and Afghanistan and Syria, I discovered that our intelligence generally is more notable for its holes than its comprehensiveness. The analysts I interviewed found themselves afloat in a sea of data, yet always lacking the key bit they needed most. 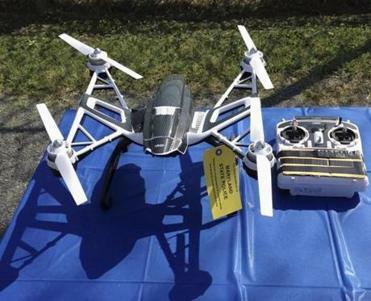 Inmates and their associates on the outside are deploying drones to deliver drugs, cellphones, and other contraband to prison yards. Hayden’s argument tackles the intelligence problem backwards. 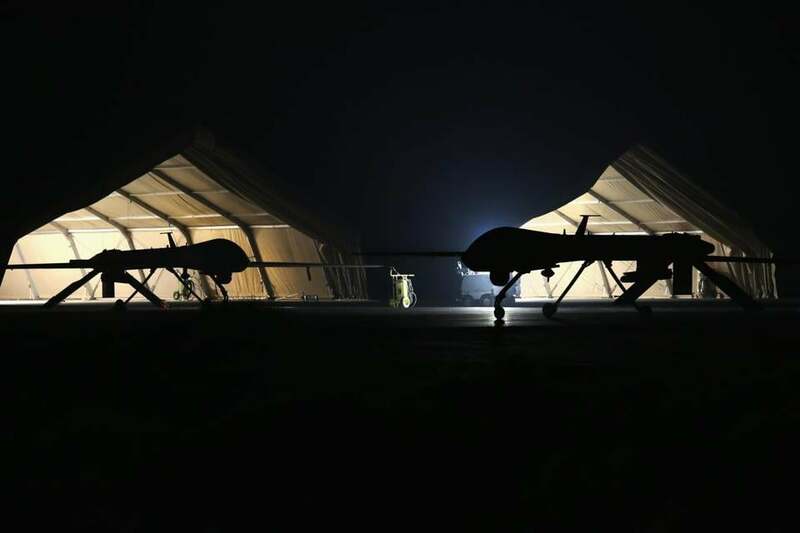 Possessing enough evidence to justify specific strikes on terrorists already in your drone’s crosshairs is a dated and Beltway-centric problem. Identifying the specific terrorist who poses the greatest or most imminent threat, and understanding their place, if any, in a network, is the challenge of average analysts today. Hayden defends the picking of fruit within reach, but we still struggle to describe the tree as a whole. Meanwhile, apples are falling on our heads. Who are we even fighting 15 years after 9/11? To a surprising degree, we still don’t know. Consider the highly coordinated attacks in Paris last November. One of the three suicide bombers at the Stade de France is still unidentified. Another of the gunmen, who shot up the cafes in the 10th Arrondissement and detonated himself during a police raid five days later, was not named until Jan. 15th. Before the incident, less than half of the attackers were known to French authorities or on watch-lists. Databases are also only as useful as the quality of information they contain. In the case of well-known Al Qaeda bomb maker Abu Khabab al-Masri, the FBI put the wrong photo on their wanted poster for years. The two Paris attackers who crossed into Europe with refugees gave aliases and incorrect passports, slowing the identification process, and making all poor fleeing Syrians suspect. “We made no excuses about killing lower-ranking terrorists,” writes Hayden, completely at odds with the lessons of the surges in Iraq and Afghanistan. There, we avoided killing as many of those young men as possible because it was counter-productive, created more terrorists, not fewer. The drone program has not stopped the lone wolf attacks in San Bernardino, Fort Hood, Paris, or at the Boston Marathon, but it does inspire next one. This view comes not just from outside critics, but from within the intelligence apparatus itself. As one intelligence analyst quipped to me, “While the plural of anecdote is not data, neither is the plural of data intelligence. And we get a lot of data.” We didn’t need a drone strike to kill Abu Bakr al-Baghdadi when he was imprisoned in Camp Bucca in Iraq in 2004. We needed cultural understanding, to anticipate that concentrating so many radicalized and sympathetic men in the same compound could create ISIS and its leader.